It’s an incredibly important element of our service. When dealing with an industry that remains unregulated and unaccountable, pricing, and pricing alone, can often be the only universally recognised yardstick. Without question, this leads to the wrong choices being made, and only regret and disappointment being felt. Now, there’s an alternative. Selecting a safe, medically qualified practitioner has never been easier. No longer must you scour review websites, or face confusing, complex and intimidating online information. Our practice, procedures and services are all accredited by the Government’s flagship scheme for the non-surgical cosmetics industry. 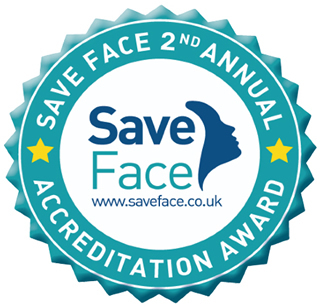 We are proud members of ‘Save Face’ – the national register of accredited practitioners, where every single practitioner is qualified and has been visited in person to certify their safe use of the right products, with the right techniques. The Save Face Register is accredited by the Professional Standards Authority and is recognised by the Government, The Department of Health, NHS England and The Care Quality Commission. Be in safe hands, without exception or leaving anything to chance, visit the Save Face website. The CrownWood MediSpa is spearheaded by MediSpa Manager Alice Hau and lead practitioner Dr Ben Lee. Alice Hau graduated from the prestigious University of Art London in 2002, entering the world of beauty and a career that would take her from one red-carpet, luxury health and beauty spa, to another. On her glittering CV is The Sanctuary luxury Health and Beauty Spa in Covent Garden and also MediSpa Clinics at Beauty Works West, and The Harley Street Skin Clinic in Central London. 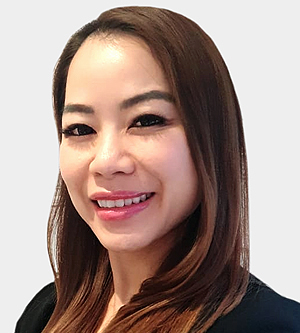 Specialising in eyelash extensions and cosmetic and enhancement facials, and now in her second decade in the facial aesthetics industry, Alice remains as passionate today as she was when she first set foot into this exciting market. Outside of CrownWood MediSpa, Alice cherishes spending her time with her two daughters – teaching them piano and travelling the world. Read a review on Alice Hau and the ClearLift Laser Skin Treatment as featured in Living Magazine (2018). "I love sharing my knowledge with our clients – helping them to achieve and maintain optimal skin health and radiance. My role here? It’s simple, really - I ensure that each and every CrownWood MediSpa patient receives the very best treatment in Health and Beauty. Anything less simply wouldn’t be up to our demanding standards - something that takes exceptional customer care, professionalism and polished presentation, always". 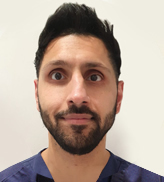 Dr Lee graduated from Barts and the London School of Medicine in 2006 and following almost a decade of vocational training in Internal Medicine, he was elected to the Membership of the Royal College of Physicians (UK). His career progressed into the highly competitive field of Dermatology where he specialised in skin allergies for children and adults. As a full-time clinical dermatologist, Dr Lee has been awarded an honorary role by the University of Surrey, where he gives lectures and sets assessments for the Faculty of Medical Science. Since 2016, Dr Lee has been studying a Postgraduate Master's degree in Skin Ageing & Aesthetic Medicine, taking his interest in Cosmetic Dermatology and anti-ageing therapies to a very advanced level. This has paved the way for providing patients with high quality aesthetic outcomes, whilst taking a leading role with other practitioners within the cosmetic & aesthetics industry. As a researcher of skin ageing, Dr Lee has had many articles published in highly regarded peer-reviewed journals. 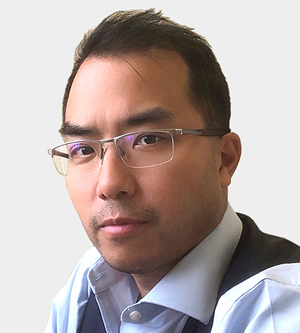 In early 2018, Dr Lee was awarded a Master's degree with a Merit in Skin Ageing and Aesthetic Medicine by the University of Manchester, for his research project investigating the impact of Perceived Stress on Skin Ageing, as well as passing the Board Certifying Examination in Dermatology by the Royal College of Physicians (RCP). Dr Ben Lee has achieved Save Face Accreditation by successfully passing the assessment process by meeting the Save Face Standards for Accreditation. Read more about Save Face here. 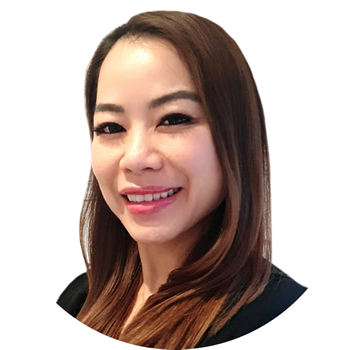 "Dr Lee was able to offer me a treatment plan tailored to my skin, combining laser treatments with expert advice about skincare and products. His holistic approach to my treatment gave me more of an insight into not only what therapies are available, but what I can do to help my skin at home. Dr Lee is consistently professional, highly knowledgable about the latest in acne treatment and goes out of his way to help his clients." Aman qualified from Guy’s, King’s & St Thomas’ Dental Institute. In September 2008, he joined the team here at CrownWood Dental & MediSpa. Alongside his dentistry he focused and applied his skills in facial aesthetics. He is able to offer an extensive range of non-surgical facial aesthetic procedures using well known effective and safe products such as Azzalure® & Restylane®. In addition Aman has had further extensive training in advanced facial aesthetic techniques to date. MediSpa recently featured in Living Magazine to discuss the benefits of ClearLift Laser Skin Treatments.